U.S. Secretary of State John Kerry held talks Tuesday in New York with Iranian Foreign Minister Mohammad Javad Zarif, aimed at ensuring that Iran gets the sanctions relief promised in the landmark nuclear deal reached in January. Tuesday's meeting at U.N. headquarters came just weeks after Iran's Supreme Leader Ayatollah Ali Khamenei complained that many international companies have avoided doing business with Tehran since the deal was reached. In nationally televised comments March 20, Khamenei focused on what he called Iran's difficulties in recouping banking assets frozen in Western countries under years of sanctions imposed to try to persuade Tehran to curb its nuclear program. He also said many international companies, fearing U.S. reprisals, were shying away from doing business in the Islamic Republic. 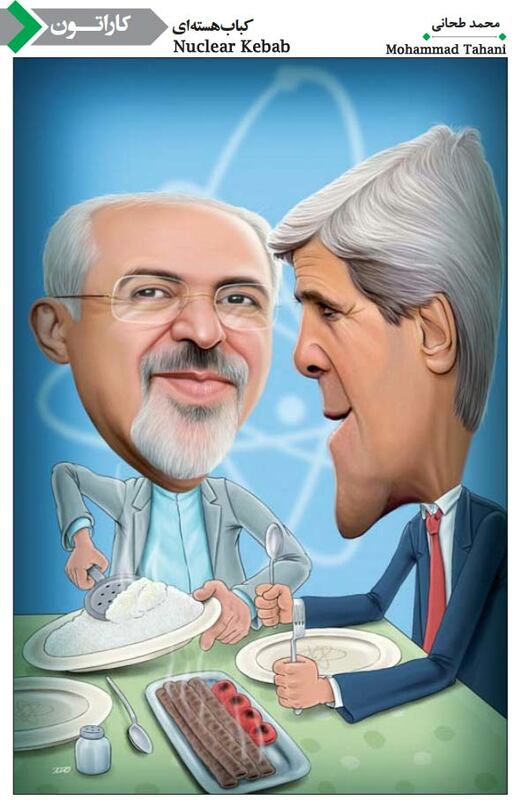 Following Tuesday's meeting, Kerry told reporters that he and Zarif agreed to cooperate to ensure that the Iran nuclear agreement, the Joint Comprehensive Plan of Action, was implemented the way it was meant to be. "We worked on a number of key things today. We made some progress on it," he said. Speaking separately to reporters, Zarif acknowledged progress and said he and Kerry would meet again Friday in New York to "make sure the [post-sanction] benefits will be there for Iranian people to enjoy." Ahead of the talks, Kerry told the pro-Israel group J Street that Iran so far had received about $3 billion as a result of the deal to constrain its nuclear program. He said that was far less than figures given by critics, and he reiterated that the agreement showed the power of prioritizing diplomacy. "Despite the skeptics' most dire predictions, we are in a place that some people thought was unimaginable and others unacceptable," Kerry said. The meeting between Kerry and Zarif also came at a time when the U.N.-facilitated process for a political transition in Syria appears to be fraying. Asked Tuesday about bilateral progress in the meeting on war-torn Syria and Yemen, Zarif said the talks focused on details of the nuclear deal. The two sides have been holding indirect talks in Geneva on both conflicts. Iran supports the Syrian government while the U.S. has supported the moderate opposition. But Tehran and Washington are part of the International Syria Support Group, which has been backing the process for a political transition.